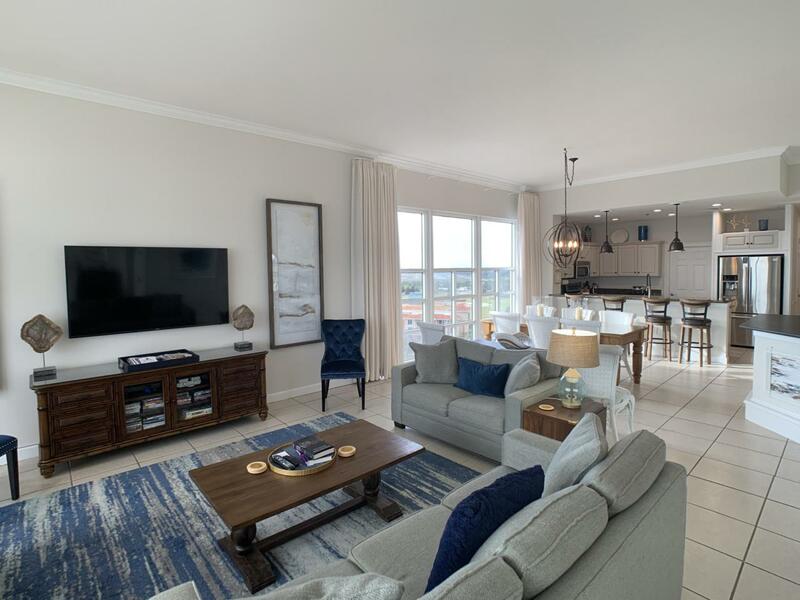 This sophisticated west corner penthouse residence effortlessly blends comfortable contemporary furnishings with tropical inspired style. 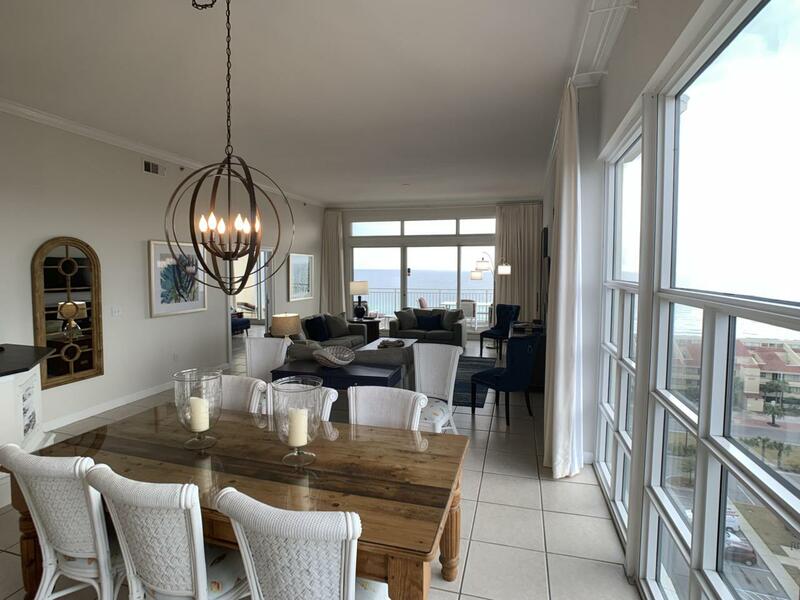 Two walls of windows in the great room frame breathtaking views of the Gulf of Mexico and the city lights of Destin. Three comfortable bedrooms, one of which is a full lock-out unit with private balcony, provide accommodations for up to eight guests. The gourmet kitchen features a granite-topped bar and gleaming stainless steel appliances. A marble-topped full bar nearby makes this the perfect space for entertaining family and friends. 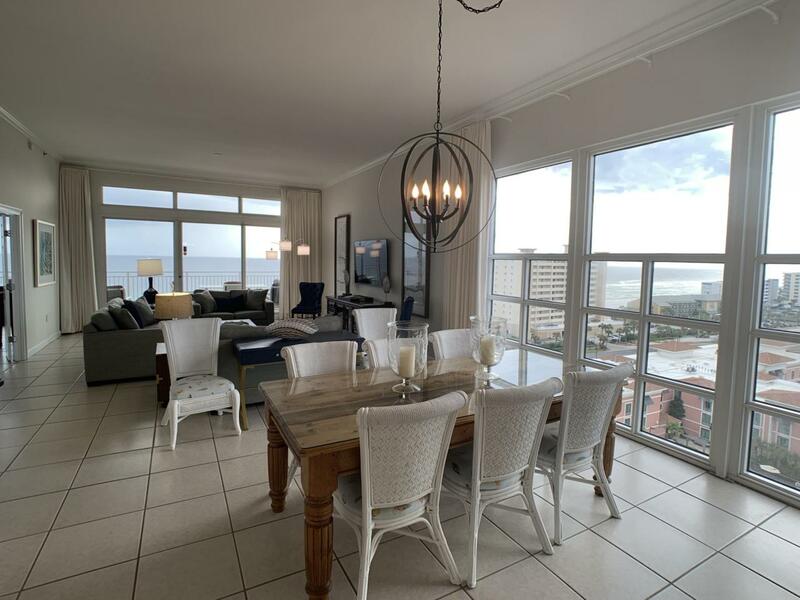 465sf of outdoor balconies offer the perfect perch for watching waterfront sunrises and year-round sunsets.